Self catering cottage situated at 900m altitude in the Haute Loire, overlooking the valleys of Ance and the Loire with a wide view of the volcanoes of Auvergne, the Madeleine, the saps of Yssingelais the Lisieux. 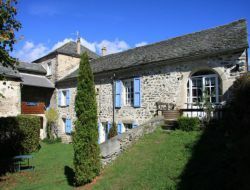 Gite for 8 people (3 bedrooms) in peaceful countryside. Many walks varied walking or biking. 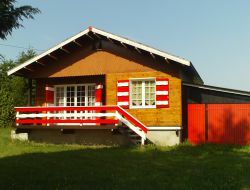 Auvergne, Haute Loire, and this is our chalet in the middle of the green next to a small hamlet. Here you can breathe the fresh mountain air. Only the chirping of birds seems to disturb the quiet room. Our cottage is of course equipped with all necessary. At the heart of the Haute-Loire but near cities and places of interest, our new and comfortable holiday cottage welcomes you for your holidays in Auvergne, in a pleasant environment, easy to access. 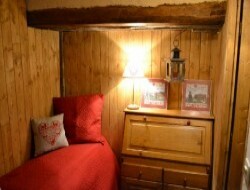 Gite for 2 to 5 people with the necessity for baby. 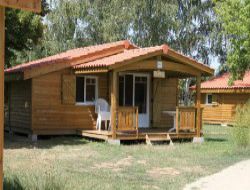 Relaxation, nature, comfort and accessibility for a very competitive rate. In Auvergne, come to discover our gite to 800 m of height. You will discover, in the breast this volcanic region, in 18km of the Puy en Velay, departure of the road of Santiago de Compostela. 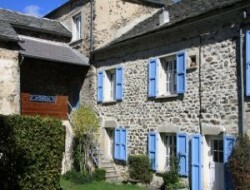 Renting a cottage in Auvergne at 25km from Puy en Velay. 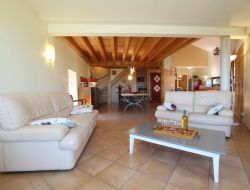 Cottage for 4-5 persons, 55m² all comfort with terrace in an old farmhouse in the heart of a typical Auvergne village. On the set of Deves, between Velay and Gevaudan, relaxing stay at the heart of countryside, with rich cultural heritage. Wilderness, bordering forest, rent of holiday cottages in the hamlets of La Sapinière in the heart of the Auvergne, near La Chaise-Dieu. 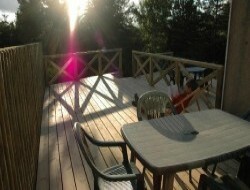 Very large wooden terrace. 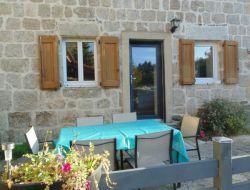 This holiday cottage is a small detached house with 2 bedrooms, ideal for holidays in the Haute Loire (Auvergne) with family or with a couple of friends. In the South of Auvergne, our campsite situated in a open air environment by the river and proposes you the rent of Chalets or Mobil-homes. On the spot a sports space consisted of a heated swimming pool, a tennis, a beach volleyball, a petanque, a fishing, a mini golf and hiking trails. The closeness of the village allows you of find traditional shops.